The disclosure that follows is designed to ensure http://tlgfitness.com\’s full compliance with the Federal Trade Commission\’s policy that demands http://tlgfitness.com be transparent about any and all affiliate relations http://tlgfitness.com may have on this website. In plain English, you, the visitor or customer, should assume that any and all links on this site are affiliate links. If you click on these links and go visit the resulting site, a cookie will be set in your web browser that will cause us to receive a commission \”IF\” you purchase a product on the other end. This is a legitimate way to monetize and pay for the operation of web sites and http://tlgfitness.com gladly reveal our affiliate relationships to you. In addition, http://tlgfitness.com fully disclose that hyperlinks on this site are in most cases shortened, and in some cases cloaked to hide long ugly links for functionality and tracking purposes. http://tlgfitness.com have nothing to hide and http://tlgfitness.com are proud of our relationship with the fine vendors, products and services found on this site. Link tracking, shortening and cloaking is a very common practice on all types of web sites. Further, http://tlgfitness.com do not receive physical products or cash directly in exchange for any reviews or posts you find on this site. No one has paid us to do reviews or posts. http://tlgfitness.com have to tell you that it is possible that our reviews and posts are influenced by our affiliate relationships and may create a conflict of interest. http://tlgfitness.com do not believe a conflict of interest exists, but you, the visitor or customer, must decide by considering the affiliate relationships and link techniques http://tlgfitness.com have described. Obviously, http://tlgfitness.com would like you to buy the service or products http://tlgfitness.com writes about and http://tlgfitness.com is influenced by that fact. http://tlgfitness.com avoids conflict by only reviewing or posting about products and services http://tlgfitness.com trusts葉here are plenty of products that http://tlgfitness.com can choose from to promote, and http://tlgfitness.com focuses on the ones that http://tlgfitness.com thinks will cause you to trust us and come back to read more of our feedback. http://tlgfitness.com strive to always give our honest opinions, findings, beliefs, or experiences on topics or products http://tlgfitness.com write about and promote. Other vendors may also pay to place advertising on our sites in the form of banners, widgets, and hyperlinks. 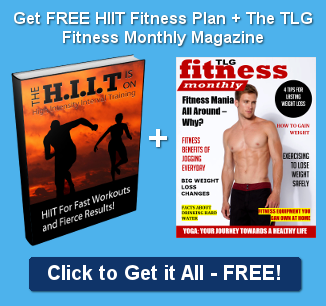 These are paid advertisements and while http://tlgfitness.com does it\’s best to only allow quality products and services to be advertised on our site, http://tlgfitness.com is not responsible for claims or testimonials made on paid advertising links.